Gah! When is the next book coming out!? 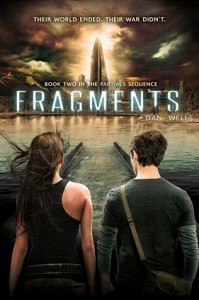 Fragments by Dan Wells is the second book in the Partials Sequence, YA dystopian fiction set in a world where a war between humans and genetically engineered super soldiers has resulted in the downfall of human society and life as we know it. Maybe I am so impressed with this book (and Partials, the first in the sequence) because I have just recently read that trash series House Of Night. But man is it ever refreshing to have a female lead in a YA novel be strong, smart, independent and interested in something besides boys. I also feel like Wells is giving his readers more credit than a lot of YA authors do. The story line in Fragments is complex and has the characters facing situations that aren't morally black and white. Once you get further into the story it isn't as simple as good guys against the bad. This book, like the first in the sequence, is a bit slow paced so you have to power through the first 100 pages before getting hooked. 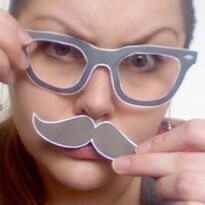 It's always interesting but not much happens that is exciting. I think this is due to the fact that Wells takes a LOT of time setting up the story and then the book ends with a bang. If you picked the series up and you're having trouble getting through it, stick with it. You wont be disappointed. And once you finish this book, you'll be like me. Impatiently waiting to find out what happens next.